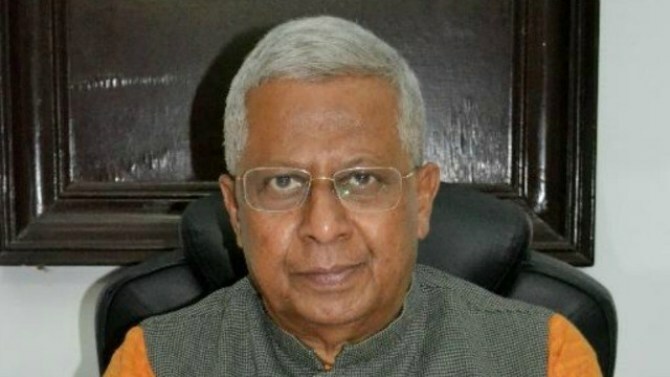 Meghalaya Governor, Tathagata Roy has notified the allocation of districts to ministers of the Meghalaya Democratic Alliance (MDA) government for undertaking of the third and final round of systematic review of various flagship programmes for the year 2018-2019. This was informed on Friday by the Additional Chief Secretary in-charge Programme Implementation and Evaluation Department. Deputy Chief Minister, Prestone Tynsong will look after West Garo Hills district, James PK Sangma (South West Garo Hills), AL Hek (West Khasi Hills), Sniawbhalang Dhar (South West Khasi Hills), Comingone Ymbon (East Garo Hills), Metbah Lyngdoh (East Khasi Hills), Lahkmen Rymbui, (East Jaiñtia Hills), Kyrmen Shylla (West Jaiñtia Hills), Banteidor Lyngdoh (South Garo Hills), Hamlet Dohling (Ri Bhoi), Samlin Malngiang, (North Garo Hills). The flagship programmes to be reviewed are MGNREGS, PMAY, NSAP, SSA, MDM, ICDS, NHM, NRDWP, TSC/SBM, PMGSY, AIBP/PMKSY and RKVP. The ministers will undertake a quarterly review of the flagship programmes and complete the same before March 31 this year. The initiative to task the ministers to look after their respective districts was undertaken by Chief Minister, Conrad K. Sangma to review the implementation of various schemes and hear public grievances.